Quiz Curve Red Wrap Maxi Dress is rated 3.0 out of 5 by 3. 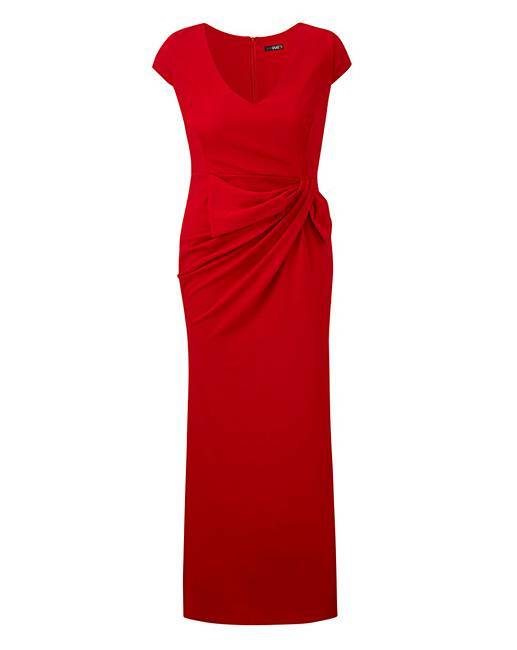 Rated 4 out of 5 by applebyapple from Lovely evening dress Great value evening dress. I went to a ball where the dress code was wear something red - I thought I would see a few of these - but mine was the only one. I have never tried this brand before and was very pleasantly surprised.